Our long term clients will remember this beautiful, delicious candle from last year, and we’re happy to report that the Birds of a Feather candle is back at Beautyologist for a limited time only! We encourage you, your friends, and your family to flock together this year and support a great cause! 5% of the proceeds from the sale of these Limited Edition candles is donated to The McGrath Foundation. 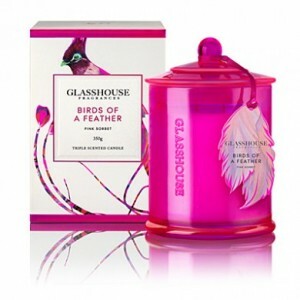 The Birds of a Feather candle is a summery blend of Grapefruit, Lemon and Watermelon. As Sia says, “Reminds me of fairy floss and champagne, quite feminine and fresh“- now who doesn’t want a little of THAT in their lives? This limited edition candle won’t hang around for long- grab yours today, before they fly fly away!